The port of Hamburg has welcomed a decision at a court in Leipzig to dismiss environmentalist concerns about dredging the river Elbe, the waterway that links the key German port to the sea. Hamburg authorities have been pushing to dredge the river by up to a metre for around a decade to ensure it can smoothly handle the largest ships afloat today. “The Federal Administrative Court in Leipzig has expressly underlined the necessity for the adjustment of the navigation channel with its decision today,” said Jens Meier, CEO of Hamburg Port Authority. “This makes it clear that the adjustment will happen, but we regret the repeated time delay in implementing the measure. Important is that for shipping on the Elbe and operations in the Port of Hamburg nothing will change. Up to now, we have been able to handle the largest containerships; this will be so in the future too. There will be no deterioration,” stressed Ingo Egloff, who heads up marketing at the port. 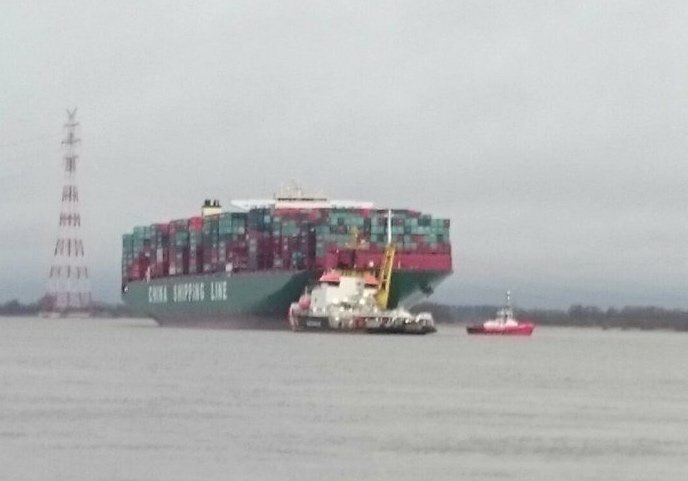 The grounding a year ago of the 19,000 teu CSCL Indian Ocean on the banks of the river served as a reminder of Hamburg’s limitations to service all types of ships in today’s supersized vessel era.